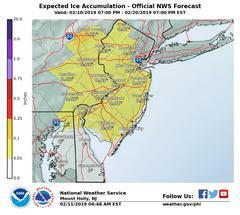 More snow on the way for tonight & tomorrow followed by sleet & rain. Please slow down. Be Safe! 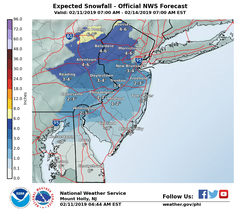 The National Weather Service (NWS) is forecasting more snow overnight into Tuesday, possibly 1-3" followed by sleet & rain. 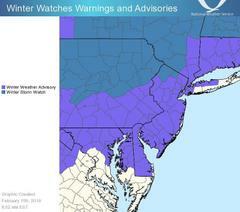 Plows will be out moving snow/salting & sanding...please give them room and stay clear. Park off street if possible. Give pedestrians a break..shovel and salt your sidewalk. Plan on extra time, slow down and arrive safely at your destination.